Recombinant DNA is a variety of techniques that molecular biologists use to manipulate DNA molecules to study the expression of a gene. Recombinant DNA - What is Recombinant DNA? 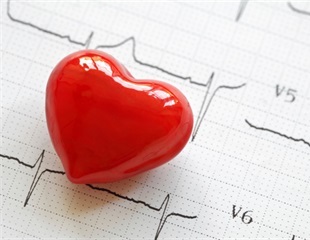 Anti-inflammatory biologic drugs used to treat severe psoriasis have the potential to prevent heart disease in patients with the skin condition, according to research published today in Cardiovascular Research, a journal of the European Society of Cardiology. A team of researchers, affiliated with UNIST has recently introduced a novel targeted drug delivery system that can improve the pharmacological and therapeutic properties of conventional cancer treatments. IONTAS Limited, a leader in the discovery and optimisation of fully human antibodies, today announced a collaborative paper published in Nature Communications with the Technical University of Denmark, and the Instituto Clodomiro Picado of the University of Costa Rica describing the development of a panel of human antibodies that neutralise elements of black mamba snake toxin in an in vivo model. The U.S. Food and Drug Administration today approved Luxturna (voretigene neparvovec-rzyl), a new gene therapy, to treat children and adult patients with an inherited form of vision loss that may result in blindness. In a New England Journal of Medicine perspective, experts from the National Institute of Allergy and Infectious Diseases, part of the National Institutes of Health, and the World Health Organization Collaborating Centre for Reference and Research on Influenza in Melbourne discuss how the process of preparing seasonal influenza vaccines in eggs may contribute to their limited effectiveness. Researchers are rewriting the yeast genome from scratch as part of a controversial project aiming to create custom-made chunks of DNA codes. One goal of the project is to create codes that can be inserted into cells to alter their function or even improve drug development. Every day 12 Australian diabetics have a limb amputated because of a non-healing wound. Globally, it's one every 30 seconds. Building on earlier work in designing chimeric human-simian immunodeficiency viruses (SHIVs) that serve as a model of HIV infection of humans, George M. Shaw, MD, PhD, a professor of Hematology/Oncology and Microbiology in the Perelman School of Medicine at the University of Pennsylvania, has received $16.3 million over five years from the National Institute of Allergy and Infectious Diseases to develop a long-sought-after HIV vaccine. Titanium is used medically in applications such as artificial joints and dental implants. While it is strong and is not harmful to tissues, the metal lacks some of the beneficial biological properties of natural tissues such as bones and natural teeth. SIPPET, a study which involved 42 centers in 14 countries in Europe, North and South America, Africa and Asia was designed to definitively settle the long-debated question whether factor VIII concentrates from different sources (plasma-derived containing VWF or recombinant technology) differ in risk of inhibitor development in previously untreated children (PUPs) with severe hemophilia A. The U.S. Food and Drug Administration today approved Cinqair (reslizumab) for use with other asthma medicines for the maintenance treatment of severe asthma in patients aged 18 years and older. Cinqair is approved for patients who have a history of severe asthma attacks (exacerbations) despite receiving their current asthma medicines. The U.S. Food and Drug Administration today approved Idelvion, Coagulation Factor IX (Recombinant), Albumin Fusion Protein, for use in children and adults with Hemophilia B. Idelvion is the first coagulation factor-albumin fusion protein product to be approved, and the second Factor IX fusion protein product approved in the U.S. that is modified to last longer in the blood. Coral snake venom carries significant neurotoxicity and human injuries can be severe or even lethal. Despite this, antivenom treatments are scarce due to challenges collecting adequate amounts of venom needed to produce anti-elapidic serum. PLOS Neglected Tropical Diseases highlights exciting new research from the Butantan Institute in Brazil using synthetically designed DNA to produce coral-snake antivenom. While scientists are unsure of the molecular causes of Parkinson's Disease, they do know the disorder's tremors and other motor dysfunctions are linked to a loss of dopaminergic neurons located in the substantia nigra, a structure in the midbrain. A first-ever interlaboratory study of four versions of a therapeutic protein drug—all manufactured from living cells—reports that an established analytical tool akin to magnetic resonance imaging reliably assessed the atomic structures of the biologically similar products, yielding the equivalent of a fingerprint for each. Sangamo BioSciences, Inc., the leader in therapeutic genome editing, announced that the U.S. Food and Drug Administration has cleared the Company's Investigational New Drug (IND) application for SB-318, a single treatment strategy intended to provide a life-long therapy for Mucopolysaccharidosis Type I (MPS I). Today, the U.S. Food and Drug Administration approved Kanuma (sebelipase alfa) as the first treatment for patients with a rare disease known as lysosomal acid lipase (LAL) deficiency. Based on sound science and a comprehensive review, the U.S. Food and Drug Administration is taking several important steps today regarding food from genetically engineered (GE) plants and animals, including the first approval for a genetically engineered animal intended for food, AquAdvantage Salmon. Researchers at Brigham Young University have devised a system to speed up the process of making life-saving vaccines for new viruses.